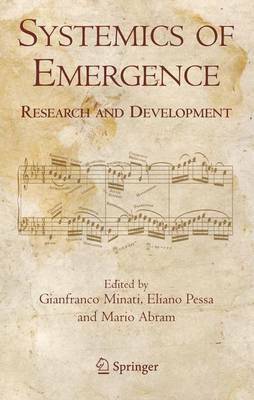 Systemics of Emergence: Research and Development is a volume devoted to exploring the core theoretical and disciplinary research problems of emergence processes from which systems are established. It focuses on emergence as the key point of any systemic process. This topic is dealt with within different disciplinary approaches, indicated by the organization in sections: 1) Applications; 2) Biology and human care; 3) Cognitive Science; 4) Emergence; 5) General Systems; 6) Learning; 7) Management; 8) Social Systems; 9) Systemic Approach and Information Science; 10) Theoretical issues in Systemics. The Editors and contributing authors have produced this volume to help, encourage and widen the work in this area of General Systems Research.